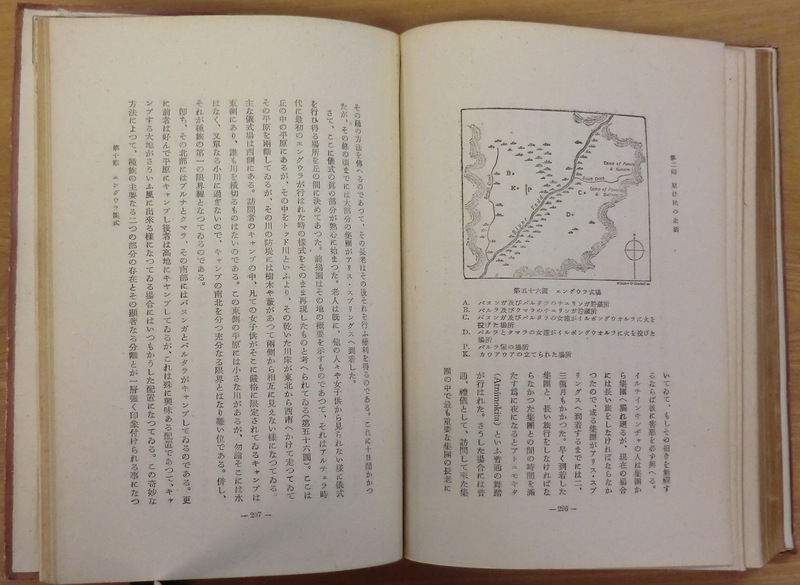 Discovered in the National Library of Australia, a 1943 edition of Baldwin Spencer’s 1928 Wanderings in wild Australia, abridged, translated into Japanese and published in Tokyo in 1943. 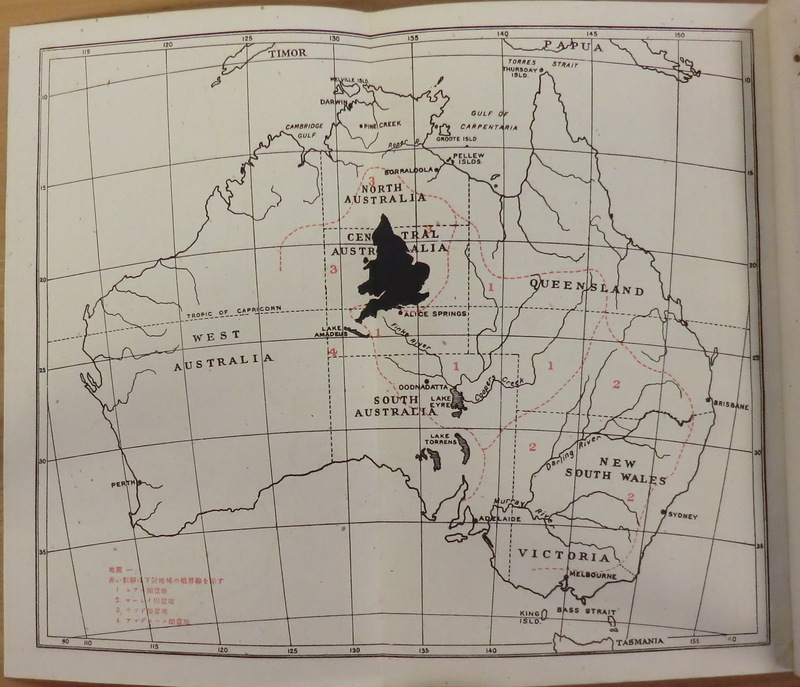 This is the same year that the Imperial Japanese Air Force was bombing targets across the north of Australia. 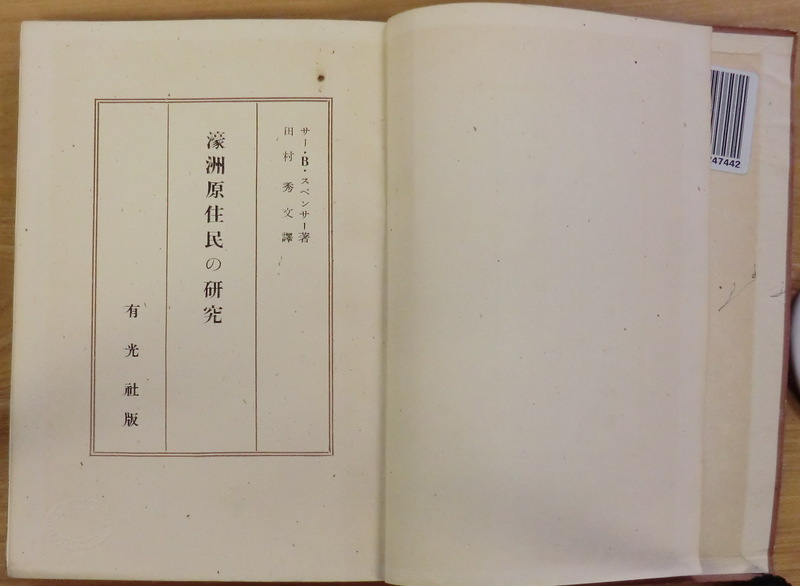 I would love to know more about this translation, how it came to be published, who was reading it and whether the publisher included any supplementary commentary from a Japanese perspective. Above is a photograph of the title page. 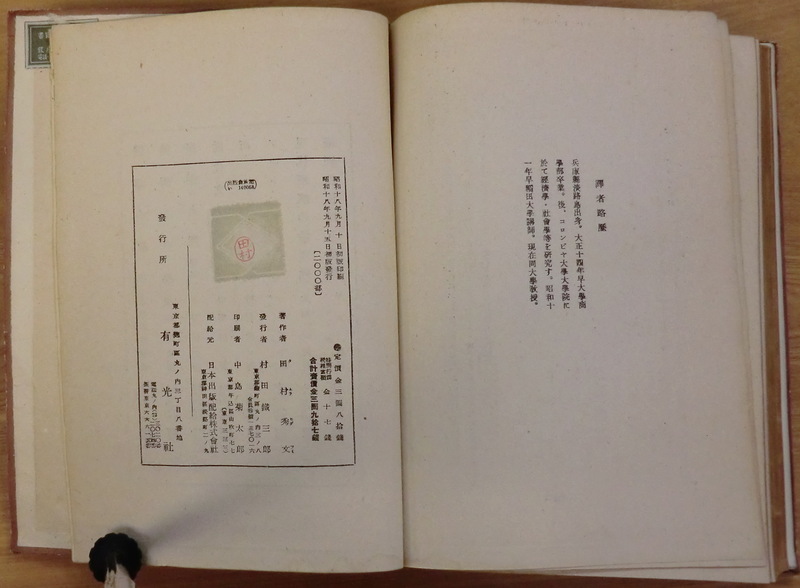 The NLA catalog renders this as Goshu genjumin no kenkyo/ Sa B. Supensa cho, Tamura Hidebumi yaku. I’m assuming ‘B. Supensa’ is Baldwin Spencer and that Tamura Hidebumi is the translator. Above is the penultimate page. Is it the publisher’s imprint? And this is the final page. Can anyone tell me what it says? Since it is unnumbered it may be supplementary material that wasn’t in the original English manuscript. [UPDATE: Thanks for the comment from Mayumi Shinozaki of the NLA (see comments). 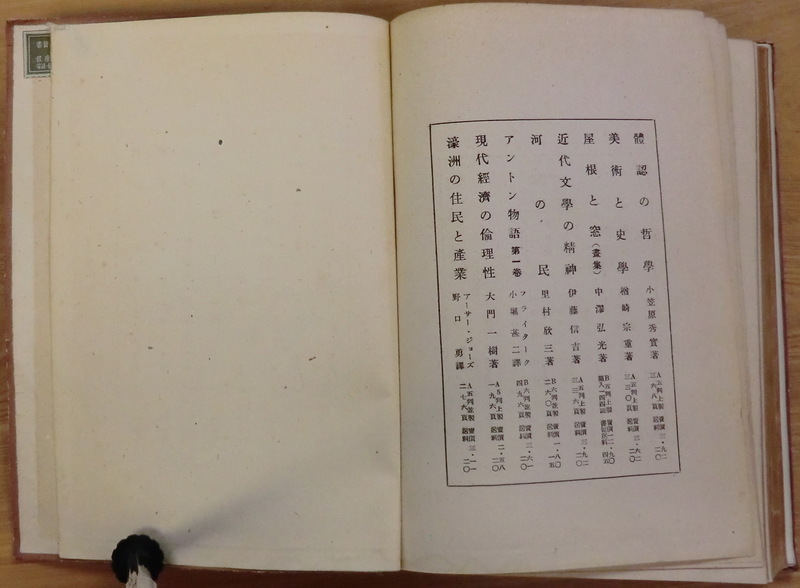 Without any knowledge of Japanese I failed to notice there was a preface to this work – I suspected, wrongly, that there may have been an Afterword based on the typesetting alone. 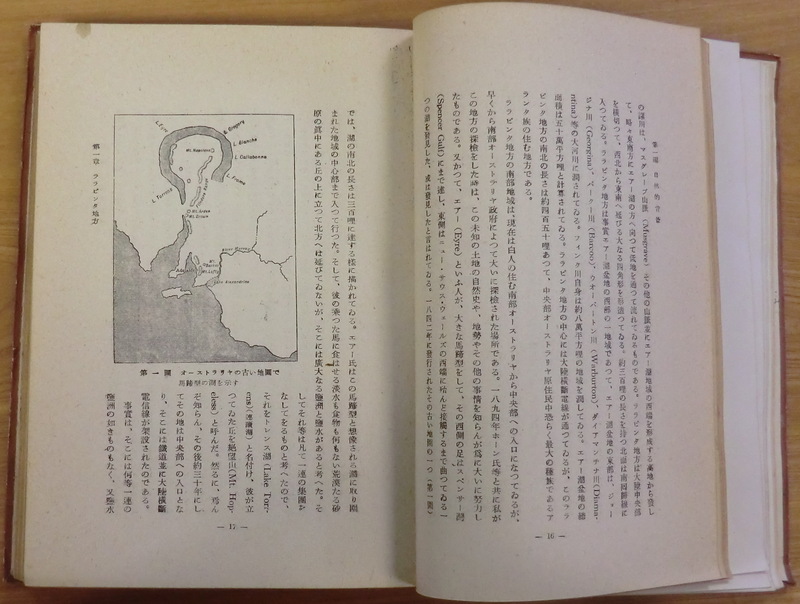 The preface clearly indicates the purpose of the translation as an aid to governing Australia’s indigenous people after a Japanese victory. In the Greater East Asian War, (=the name Japan called WWll), Japan has been achieving great results so far and Japan is now the country to lead the Greater East Asia. Through this war, we have to build while distractions are done. To construct the greater economic community for the area smoothly, it is crucial to gain good cooperation of those who live in those occupied lands. In the Greater East Asia, various ethnic communities live with different customs and beliefs. Often the living standard is quite low and they lead primitive ways of life as our ancestors used to lead. It would be a great challenge to lead those people and gain their support, while building the new culture. The most fundamental and urgent research to be done on this day is the research of lives of native tribes in the area. Sir Baldwin Spencer wrote this book while visiting the area many times, lived with them and had great trust from them. With his profound understanding and empathy, he researched on those people with patience and hard work. This book is not a kind of a book where the sensational and exaggerated descriptions give readers false understanding. 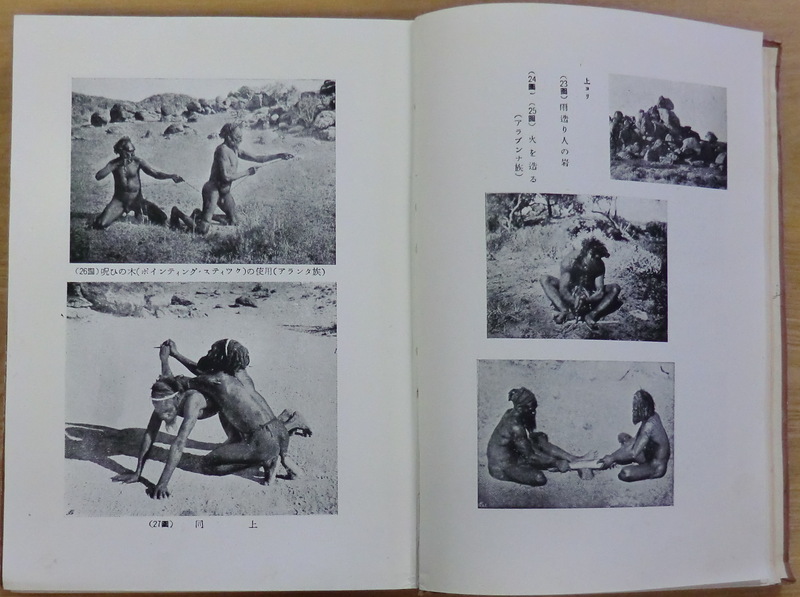 I recommend this book as the best book on research about aboriginal races in South Pacific. 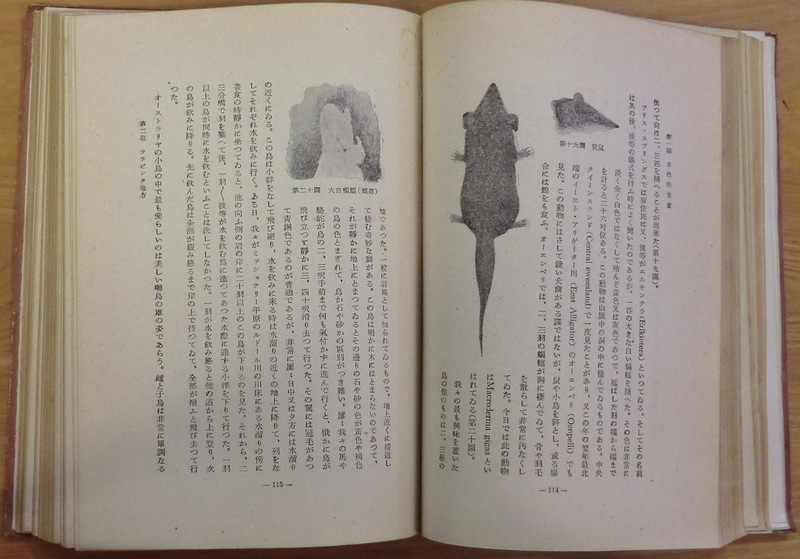 Image 2, the penultimate page is the publishers imprint on the left, and a short bio of the author on the right. Image 3, seems to be a list of other titles available through the publisher I think, the first few could be roughly translated as ‘ A philosophy of realisation’, ‘Art and historiography’, ‘The foundation and the window’ and ‘the spirit of contemporary literature’. I’m not sure if these are famous texts that I have translated wrong. 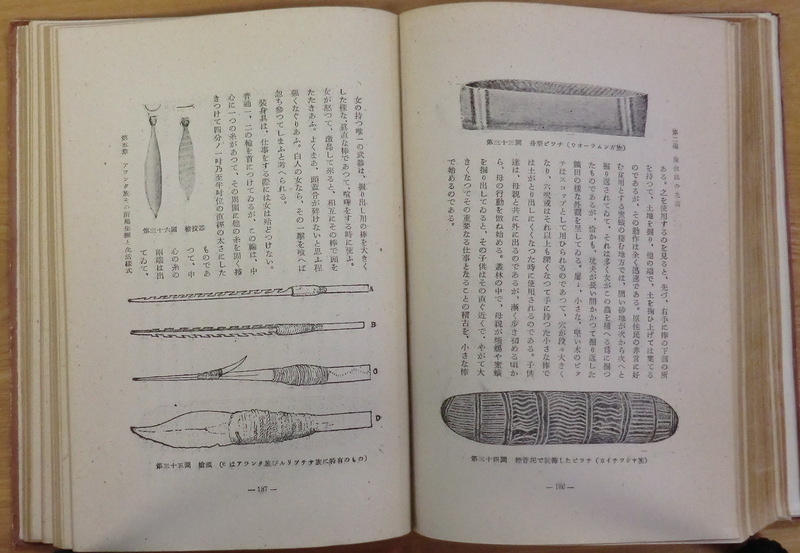 As the book is held in the Japanese collection here, of the Asian Collections, National Library of Australia, I went to grab the book off the shelf and had a quick look. The preface of the translated title explains how this title came into translation. I picked some sentences from there and translated. Not word-for-word translation, though. “In the Greater East Asian War, (=the name Japan called WWll), Japan has been achieving great results so far and Japan is now the country to lead the Greater East Asia. Through this war, we have to build while distractions are done. To construct the greater economic community for the area smoothly, it is crucial to gain good cooperation of those who live in those occupied lands.